(TibetanReview.net, Jul07, 2016) – China has added the iconic France-based British singer and actress Jane Birkin to its growing list of global artistes banned from performing in the country because of their support for the human rights of the Chinese people or for the Dalai Lama and the Tibetan people’s struggle to protect their culture and ethnic identity. “Reporting” on the development, China’s international party mouthpiece globaltimes.cn Jul 5 cited The Guardian newspaper as saying the Chinese Embassy in Paris had denied her a visa. The globaltimes.cn report cited the Chinese language edition of Global Times as reporting the refusal was related to Birkin’s participation in a protest calling for Tibet’s independence during the 2008 Summer Olympics’ torch relay in Paris. 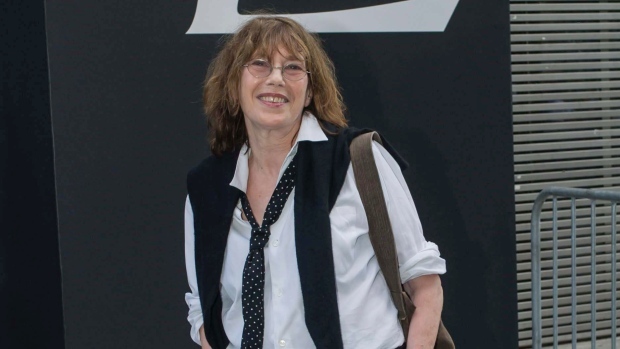 It noted that Birkin had, on that occasion, also spoken to the media about “lack of freedom of speech” in China. The Global Times report was reported to have run a picture of Birkin holding a bag adorned with a Tibetan flag, with the pattern also showing the address of a pro-Tibet independence website. The Shanghai Symphony Orchestra was otherwise to accompany Birkin in a concert honoring French singer-songwriter Serge Gainsbourg in a Shanghai concert scheduled for Jul 9. The globaltimes.cn report did, however, cite Wang Yuanyue, veteran concert manager in Shanghai, as saying it was Birkin’s right to criticize China while adding the Tibet question is “too complicated and chaotic”. It also cited Zhang Siwei, a Shanghai music producer who has worked in the UK music industry, as having told the Global Times that he believed an artist should not be seen in the light of his or her political position. “Though I believe art comes from the society and society needs politics, I think an artist’s success or reputation predominantly comes from that person’s talent and personal appeal, regardless of political orientation,” Zhang was quoted as having said. The globaltimes.cn report then cited a series of cases in which Western musicians had been denied visa for their perceived or real support for human rights in China and freedom in Tibet in the recent past. It said the visa denial for Birkin followed China’s banning of Lady Gaga, who had met with the Dalai Lama at the annual US Conference of Mayors in Jun 2016. It cited Hong Kong-based newspaper the Apple Daily as having reported that Chinese authorities had issued an “important instruction” banning the singer’s music from distribution in the Chinese mainland. It cited Reuters as having reported at that time that the incident led the Chinese authorities to tighten control on foreign singers and other performers. The first victim after that was the English band Oasis which was barred in 2009 from performing in Beijing and Shanghai, reportedly due to lead guitarist Noel Gallagher’s participation in a 1997 Tibetan Freedom concert in New York. The globaltimes.cn report also noted that in 2015, Bon Jovi’s Shanghai and Beijing concerts were abruptly cancelled, with the Financial Times reporting that it was because a video backdrop at the band’s 2010 Taiwan concert featured an image of the Dalai Lama.